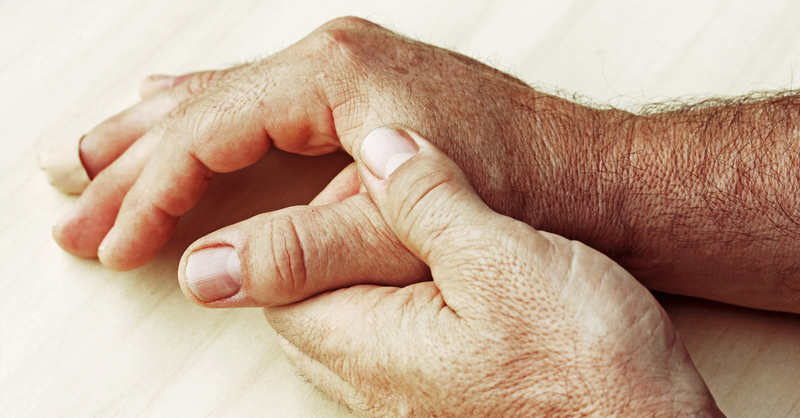 Finding the best medication for your rheumatoid arthritis can take some time, and while you’re waiting for it to work, other drugs can help, but it turns out that they also can lead to scary side effects. We’re talking about steroids—quick to relieve painful inflammation but with many side effects such as weight gain and high blood pressure. Doctors tend to prescribe them in low doses for the shortest amount of time that will bring relief. But a study published in The Journal of Rheumatology found that even low doses can be very risky for people with rheumatoid arthritis, some of whom are, surprisingly, taking them for too long. Yes, steroids can block damaging inflammation from this disease, but they are not a long-term answer because, in addition to side effects, they don’t change the course of rheumatoid arthritis. In contrast, a more recent class of drugs called “DMARDs” are a better ongoing treatment because they can actually slow or halt joint destruction. You might sometimes also need a steroid to ease symptoms—such as when first starting a DMARD (because it can take weeks for it to take effect versus mere days for steroids) or when changing from one DMARD to another as you try to find the best one for your condition. For the study, researchers reviewed two years of medical records of 84,000 people with rheumatoid arthritis—they tallied the amount of steroids taken during the first one-year period and then looked at side effects during one year of follow-up. They found that 48% of patients had taken oral steroids. Even though they were on a so-called low daily dose of 10 mg, many of them had taken this dose for relatively long periods—with terrible consequences. For example, patients who took steroids for between 80 and 180 days in the year had a higher risk for osteoporosis, fracture and infection than those who did not take steroids. Even worse, those who took low dose steroids for a total of six months out of the year or more were at risk for an even longer list of complications that additionally included aseptic necrosis (bone loss from lack of blood supply), type 2 diabetes, heart attack or stroke. Ask your rheumatologist whether you can get started on a DMARD as early as possible after your rheumatoid arthritis diagnosis to preempt the need for steroids. Try nonsteroidal anti-inflammatory drugs (NSAIDs) to reduce inflammation. They are not as strong as steroids, but might be enough to ease symptoms until your DMARD kicks in. If your doctor strongly recommends steroids, ask for the lowest dose taken over the shortest amount of time that might work.